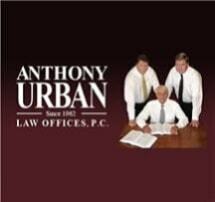 Although we are a small firm, few can match the qualifications, experience and successful record of Law Offices of Anthony Urban, P.C. We combine a welcoming atmosphere for clients with aggressive representation on their behalf. Our attorneys commonly receive referrals from the people we have helped throughout Schuylkill, Northumberland, Columbia and Luzerne and the surrounding counties. His sons, Tony Urban, and Brian Urban are also accomplished trial attorneys. Tony holds an LL.M. (advanced law degree) in trial advocacy and serves as a director of the Schuylkill County Bar Association. Brian also holds an LL.M and is a four-time recipient of the Pennsylvania Rising Star Super Lawyer award by Law & Politics, nominated to the Commonwealth's top up-and-coming attorneys under the age of 40.